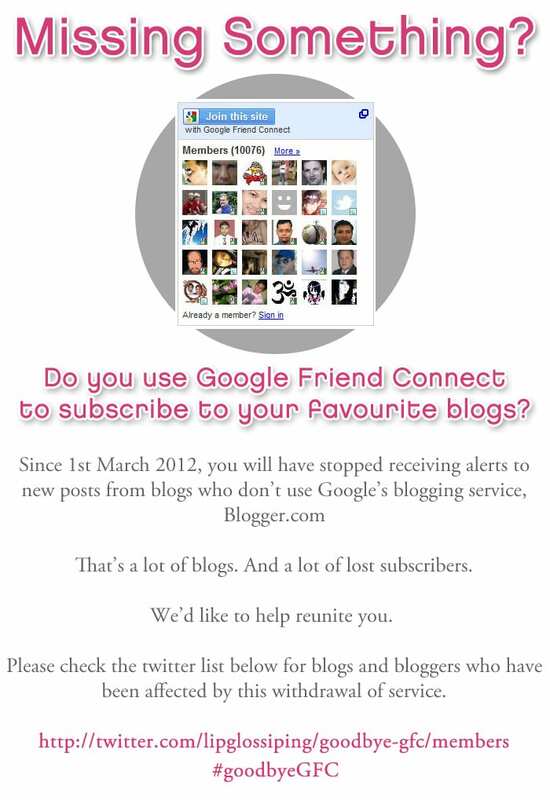 In November 2011, Google announced that they would be no longer be providing the GFC (Google Friend Connect) service for non-Blogger blogs. This came into effect on March 1st, and bloggers who had the service previously have seen huge drops in traffic. HelloCotton is a newcomer to the scene which I’ve not really looked into much, but I believe that you can follow blogs that way. Oh, and because I’m a little late with this, Charlotte and Liloo are putting together a list of bloggers affected by this change to make people more aware and to encourage discussion about how else a blog can be followed. Have I missed any other blog gatherers out? Excellent and very comprehensive post – thank you!